A major expansion plan is coming to the Austrian Airlines route network this winter as the airline announces more than 40 additional flights each week will be operated to 14 destinations. From the end of October 2018, the airline will operate up to 48 weekly flights to Berlin-Tegel and 36 flights to Dusseldorf, an increase of seven flights per week in each case compared to the winter of 2017/18. Austrian Airlines will fly up to 29 times each week to Hamburg, or three additional flights in the upcoming winter flight schedule. 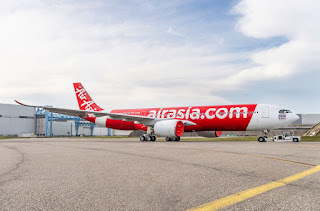 On balance, Austria’s flag carrier will offer up to 17 more weekly flights to Germany or a total of up to 238 flight connections each week from Vienna to Germany. Denmark’s capital city will also get extra services, Austrian Airlines will fly up to 30 times per week to Copenhagen starting at the end of October 2018, an increase of four flights compared to the last winter flight schedule. The number of weekly flights to Athens will be raised by four, from six to ten times each week. Daily flights will be operated to Thessaloniki, which is three times more often than in the 2017/18 winter flight schedule. Kiev will be served up to 16 times per week in the upcoming winter flight schedule, indeed the airline says it plans to offer up to 30 weekly flight connections to destinations in Ukraine. This not only encompasses the capital city of Kiev but also Dnipro, Lviv and Odessa. One additional weekly flight will be operated to each of the destinations of Košice, Budapest, Belgrade and Sarajevo for a total of up to 63 flights per week. Austrian Airlines will offer flights to Warsaw and Krakow in Poland and increase its weekly offering to Krakow by two flights to make a total of up to thirteen times per week. Up to 18 weekly flights will be operated to Warsaw. Romania is represented with three destinations in the Austrian Airlines 2018/9 winter flight schedule. Bucharest, Iasi and Sibiu will be served up to 41 times per week altogether. The airline will fly up to 29 weekly flights will be operated to Sofia, Bulgaria and daily flight service will be offered to the coastal town of Varna. As a result, Austrian Airlines aircraft will take off for Bulgarian destinations up to 36 times each week starting with the coming winter season. It is not just European destinations that Austria is expanding to services and schedules to, the airline is introducing a flight to Cape Town, South Africa. The airline is also expanding its long-haul flight service to North America, up to thirteen flights will be operated to New York each week, Chicago will become a daily service and Toronto will be served five times a week.